Alaska is the premier fishing destination for anglers from all over the world, and this is the ultimate guidebook to fishing in Alaska. This book covers all of the fabulous fishing opportunities throughout the Alaska: from the Artic to Bristol Bay, the Kenai Peninsula, the Alaska Peninsula, southeast Alaska, and the famed Iliamna region. The authors cover all of the great fishing opportunities from fishing out of a lodge, to floating one of the rivers for salmon and trout, to fishing the many streams and lakes via the road system or planning a successful do-it-yourself trip. They will show you how you can fly into Anchorage, rent a camper, and be catching trophy trout and salmon within hours of your arrival in Alaska. 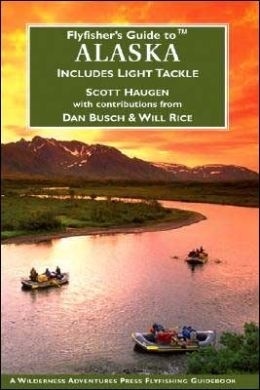 This 8 x 10, 464-page book contains over 150 fishing maps, hatch charts, and detailed fishing information on each river and lake along with information on the best times to go, where to go, what you need in equipment, where to stay, guides, outfitters, lodges, how to hire or rent an air taxi service, raft, or RV camper. 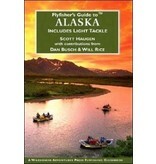 The authors have over 80 years of flyfishing experience in Alaska. They focus on how to plan and have a successful do-it-yourself trip to catch trophy fish and save money in the process.